The best graphics card will make your gaming PC the only device you want to play games on. And we’ve tested all the latest and greatest GPUs to see which one is right for you and your budget. 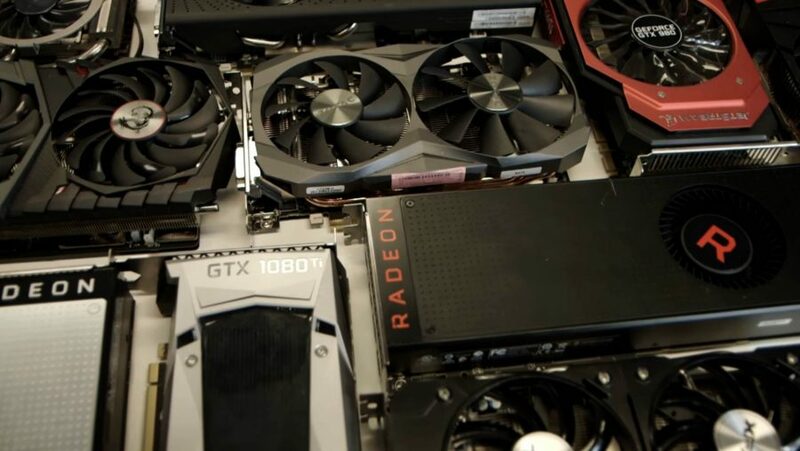 The graphics card is the beating silicon heart of your gaming rig and we’ve benchmarked every AMD and Nvidia graphics card to pass across our test labs. But should you go for a cheap graphics card or go all in for 4K? We can help. If you want the absolute pinnacle of graphical prowess you could always drop a cool $2,500 on Nvidia’s Titan RTX, but now the RTX 2080 Ti is finally here, serious 4K performance is actually within reach. 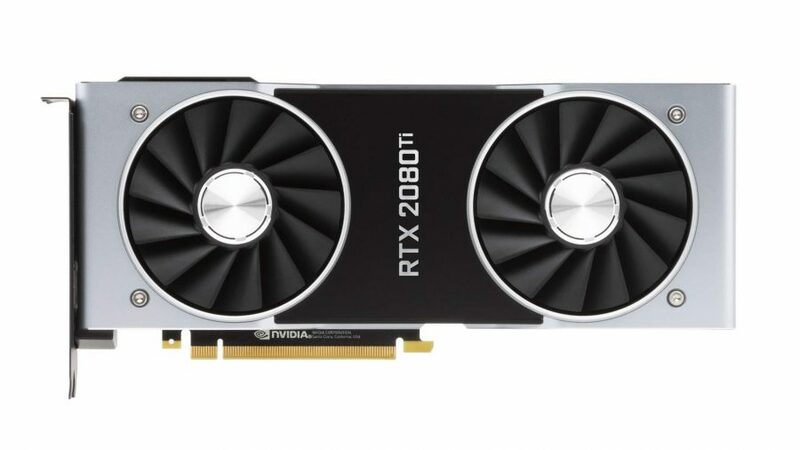 I mean yes, it is some $1,200, but that’s less than half the price of a Titan RTX. That’s a bargain, right? But, if you can’t drop four figures on a GPU, what should you buy right now? 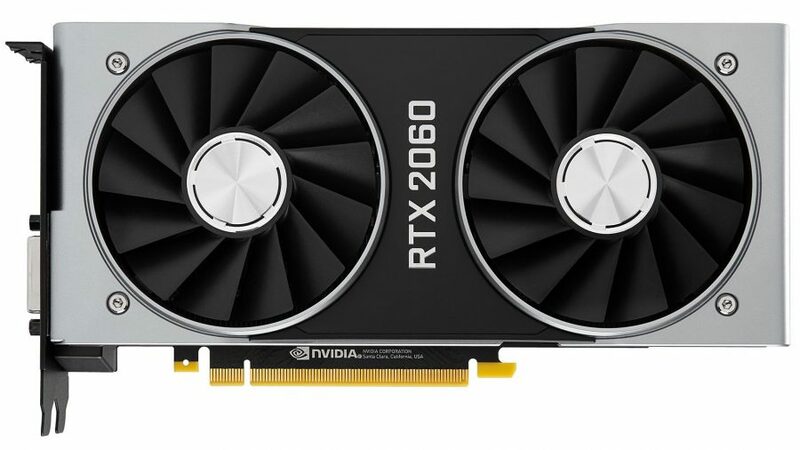 Older Nvidia graphics cards are starting to creep up in price in the short-term, now that Nvidia’s Turing architecture, and subsequent RTX 2080, RTX 2080 Ti have been released. But the RTX 2070 is finally available, the RTX 2060 is propping the 20-series up and Nvidia has created a whole new range for the mainstream segment with the GTX 1660 Ti. And what of AMD? Well, the Radeon VII is difficult to recommend and difficult to find in stock for a not utterly ridiculous price, but the RX 580 and RX 570 are fantastic bargains right now. If $200 is you’re limit, AMD is almost the only way to go. So whether you’re chasing a good, cheap graphics card, a top-end 4K graphics card, or just simply the overall best graphics card, then we’ve got you covered. Check out the best graphics card deals at Amazon US and Amazon UK. Bringing GTX 1070 level gaming performance down into the GTX 1060 price category... and tops the RX 580. The latest mainstream GPU from Nvidia still uses all the Turing shader features introduced by the 20-series cards, but lacks the real-time ray tracing or AI finery which marked them apart from the rest of the world’s graphics cards. Though, given that there are precious few titles taking advantage of this holy grail of gaming graphics, that’s not a big loss when it’s all about price/performance ratios. The GTX 1660 Ti just about takes top spot as best graphics card thanks to the fact it’s fast enough to justify the extra cost over the RX 580’s bargain price. 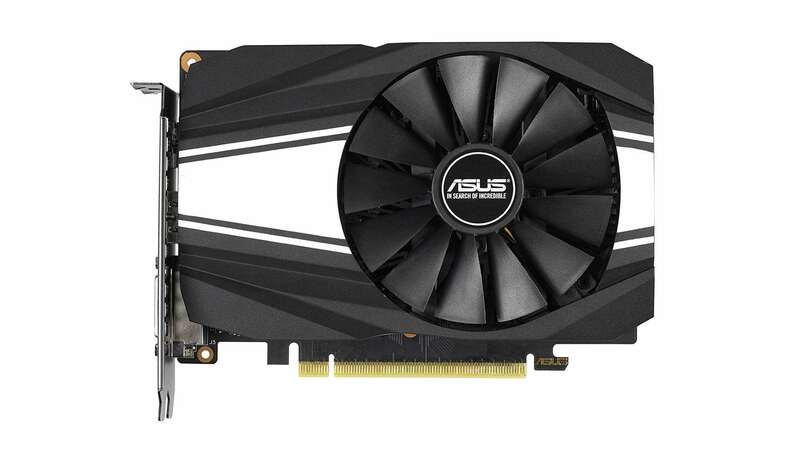 Overclocked cards, such as the STRIX GTX 1660 Ti, are too expensive, and too close to the RTX 2060, but at MSRP the GTX 1660 Ti is a winner. It’s going to be interesting to see how things shake out once the slightly cut-down GTX 1660 arrives at closer to the RX 580’s price. Read our full Nvidia GTX 1660 Ti review. Nvidia's second 16-series card renders the RX 590 obsolete and pushes the RX 580 further down the stack. 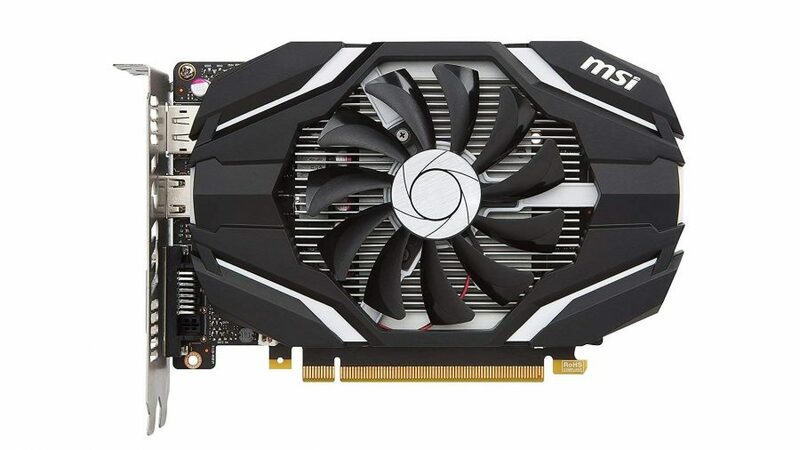 The new 16-series GPUs occupy a very tight area of the graphics card market, with the GTX 1660 Ti looking after the standard mid-range price point, while this GTX 1660 has been specced and priced to take out the AMD Polaris competition. 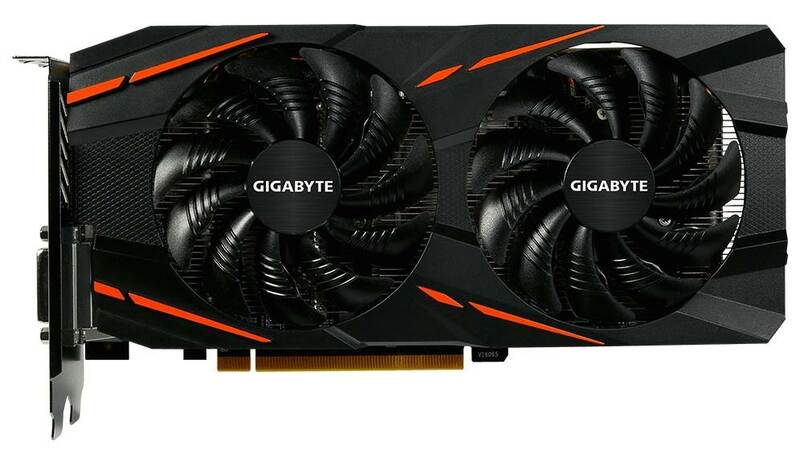 With greater performance, and a lower cost compared with the RX 590, the GTX 1660 has rendered it obsolete and put enormous pressure on AMD and its partners to keep the ever-dwindling stock of the bargain RX 580s at a low, low price. Read our full Nvidia GTX 1660 review. AMD's finest is cheaper than ever after the RX 590's release, and a great budget alternative to the 16-series cards. The price of the RX 580 is fantastic considering its serious gaming performance, but the GTX 1660 is faster and just about justifies the extra expense. 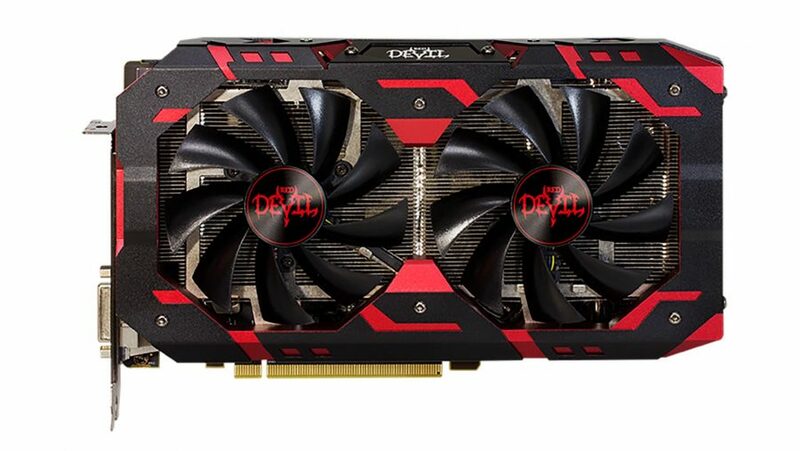 But if you can’t really stretch beyond the $200 mark the RX 580 still won’t disappoint. The Polaris-based Radeon cards perform better than the old GTX 1060 competition in a handful of DX12 titles and in Doom’s Vulkan build. They have a superior memory setup, too. Not only does the RX 580 have an extra 2GB of VRAM at its disposal, useful for high-res textures and large open-world games, it’s also got that running over a wider, 256-bit, aggregated memory bus. But the latest Turing cards could be the final two nails in Polaris’ coffin. Read our full AMD Radeon RX 580 review. Nvidia's RTX 2060 might be the best value RTX card yet, offering GTX 1070 Ti performance. 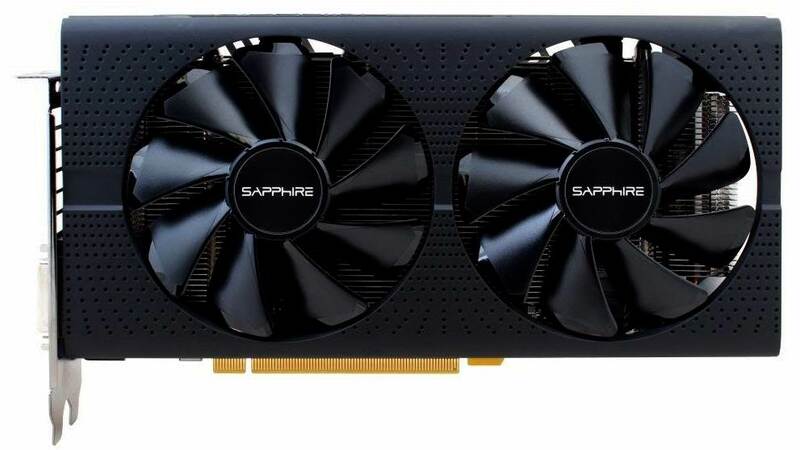 If you’re looking for more than the RX 580 can offer, then it’s a question of shifting up to either the two 16-series cards or pushing further to the RTX 2060. Okay, there’s the RX Vega duo, but with the more-recent Turing architecture taking centre stage we reckon your best bet is to throw your dollar down on the cheapest RTX card of the lot if you’re looking to spend around $300. Utilising an only slightly truncated TU106 GPU, the RTX 2060 easily outpaces the equally CUDA equipped GTX 1070 across our gaming benchmarking suite. So much so, in fact, it matches even the GTX 1070 Ti in regular ol’ rendering. And with enough RT Cores and Tensor Cores to keep ray tracing chugging over, the RTX 2060 is both a graphics card for the present and the future. Read our full Nvidia RTX 2060 review. AMD's RX 590 may not beat the RX 580 by much, but it's enough to give Nvidia's GTX 1060 a kicking. The GTX 1660 Ti has our pick as the best graphics card, but the RX 590 isn’t all that different to our previous favourite, the RX 580. AMD copy and pasted its 36 CU GPU onto either GlobalFoundries 12nm or Samsung’s 11nm process, resulting in significantly higher clock speeds over its predecessor. It’s not a huge change when it comes to gaming performance, and the GTX 1660 has now rendered it practically obsolete. One of the best things the RX 590 has done for the market is make the RX 580 just that much more tantalising with its sub-MSRP prices. That’s the most tempting Radeon card around right now, but if you’re looking for a litttle more gaming power, it’s the latest GeForce GPUs. Read our full AMD Radeon RX 590 review. The pinnacle of 4K, 60fps gaming... even if it will cost you an arm and a leg. And a couple of kidneys too. The RTX 2080 Ti is the true next-gen graphics card of the Turing GPU generation and, if pure performance was king, it would be an easy pick for the best graphics card. The RTX 2080 only delivers current gaming performance at the same level as the GTX 1080 Ti, but the RTX 2080 Ti goes well beyond it, offering genuine 4K gaming at 60fps in all but the most demanding of PC games. There’s also the promise of real-time ray tracing… when Microsoft updates its Windows 10 OS with a new version of DirectX 12. Then there’s AI-based super-sampling that will make your games look prettier and run better. As well as all the other goodness AI will bring to gaming in the future via Microsoft’s WinML API, and the new shader techniques Nvidia has created for Turing. Buy it if you want the ultimate in 4K gaming now, and then bask in the knowledge there’s even more to come. Read our full Nvidia RTX 2080 Ti review. The RTX 2080 is a tough sell given its high price tag, and its 1080 Ti performance. The second-tier 20-series GPU from Nvidia is still a massively expensive card and yet is only delivering a little more performance than the previous generation’s GTX 1080 Ti – the old best graphics card for 4K gaming. But stock of the top Pascal GPU has dwindled to such a point you can’t pick them up for less than the cost of the RTX 2080 Ti… so that idea’s pretty much out. And there is more to come from the RTX 2080, and we’re confident it will eventually deliver on Nvidia’s fresh fine wine approach. For now, though, with few affordable reference card versions, it’s a tough sell. But as prices for the GTX 1080 Ti go up as stock volume goes down, and the reverse happens to the RTX 2080, it is fast becoming the go-to card compared to the Pascal GPU. Read our full Nvidia RTX 2080 review. The third-tier Turing GPU can out-do a GTX 1080 for almost the same price, getting surprisingly close to a 1080 Ti. Nvidia’s third-tier Turing GPU is a really impressive graphics card, it’s just a shame that it’s arrived at GTX 1080 pricing rather than at the old GTX 1070 level. But it does outperform the old Pascal cards, and gets mighty close to the 1080 Ti when you throw some serious overclocking its way. But those factory-overclocked cards are hard to recommend given their super-high pricing. We still don’t know what the real-time ray tracing and AI processing will eventually offer, but the RTX 2070 does seemingly represent the cheapest entry point if you want to get in at the ground floor of the new tech without necessarily having to hope DLSS comes to the rescue. Read our full Nvidia RTX 2070 review. This great-value little GPU is back to being a price/performance hero again, retiring the 1050 Ti. The RX 570 is finally at a non-ridiculous price now that stock has filtered back into the channel. Actually, with the card sitting cheaper than the Nvidia GTX 1050 Ti, it is actually a kind of ridiculous price… in a good way. It essentially makes the GTX 1050 Ti irrelevant and means there’s only one choice for a budget gaming GPU right now. You are missing out on the higher level of video memory you get with the 8GB version of the RX 580 or the GTX 1060 6GB, but 4GB is absolutely fine if you’re still rocking a 1080p monitor. With its only slightly cut-down Polaris 20 GPU it’s still got the gaming goods, and if you can’t stretch to the price of an RX 580 or GTX 1660 Ti then the second-tier Polaris card won’t disappoint. Read our full AMD RX 570 4GB review. The RX 570 makes the 1050 Ti almost irrelevant, unless you don't have a PSU capable of AMD's power demand. 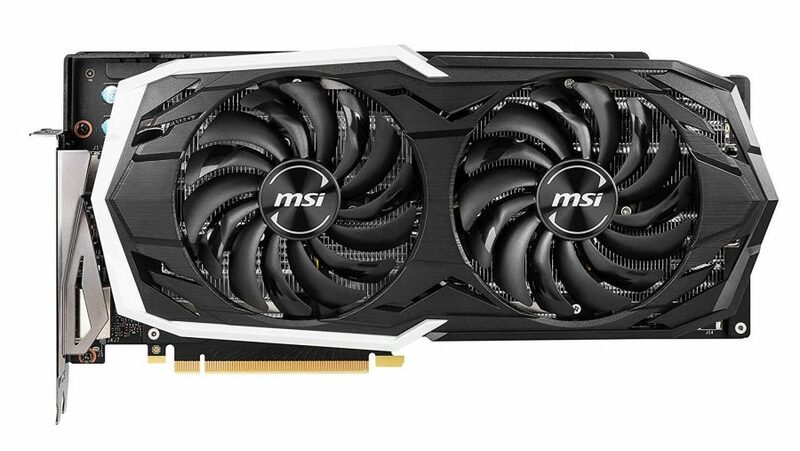 The Nvidia GTX 1050 Ti was a decent little card year or so ago, but the huge price drop of the RX 570 has effectively retired it. The Radeon GPU has a lot more gaming performance baked inside it and when it’s cheaper and faster the 1050 Ti has almost no hope. Where the GTX 1050 Ti does stand out, however, is in opening up PC gaming to a wider audience. Because its efficient GPU draws all its power from the PCIe bus, without needing an extra connection from the PSU, it can be an instant upgrade for any off-the-shelf office PC. You can turn pretty much any ropey old PC from the last five years or so into a 1080p gaming machine to be proud of. You can’t ask much more than that. Read our full Nvidia GTX 1050 Ti review. Not everyone is lucky enough to be totally weapons free on budget when it comes to the most important component in a gaming PC: the graphics card. 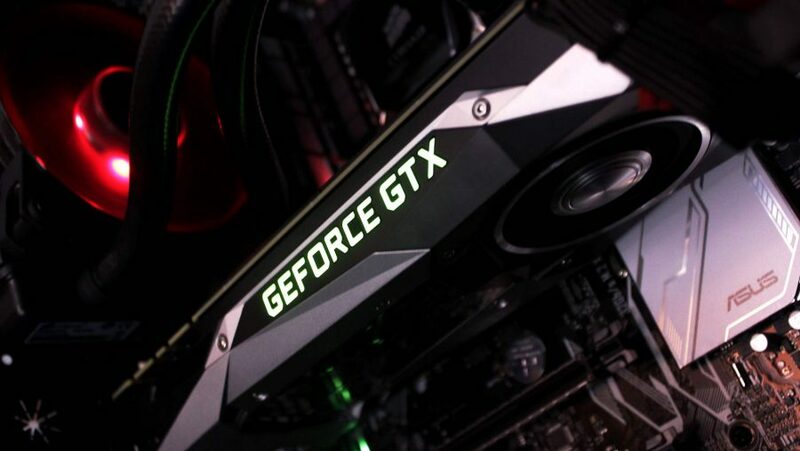 That’s why picking the best graphics card for your needs is so important – if you can’t afford an RTX 2080 Ti you still need to make sure your money is well-placed in hardware that is going to deliver the best performance for your given budget. While the RTX 2080 Ti is the boss of 4K gaming, the GTX 1660 Ti and RX 580 are fighting it out for the all-important best graphics card price/performance crown. 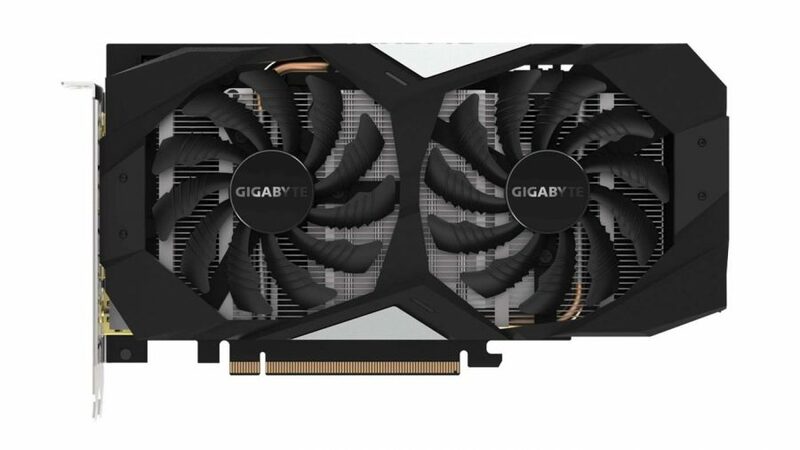 The RX 580 is a the cheaper option, but the latest Turing GPU does have the performance edge, and the GTX 1660 Ti can kind of now do ray tracing. Kind of. Both offer fantastic frame rates even when the settings are cranked up to the max, and you won’t be left high and dry with either Nvidia or AMD in your system. The entry-level is almost entirely dominated by the red team, however. The RX 570 is now at such a great price that the GTX 1050 Ti looks incredibly tired by comparison. What it does have going for it is the ability to operate without PSU power connections, but the RX 570 hoses it in gaming terms.